Guys - I’m glad that you’re getting something out of my posts. And thanks for the encouragement. As to the site generally, I agree. People have come and gone since I first lurked, but my sense is that the tone has remained pretty consistent. Positive. Civil. Entertaining. And so on. Good on the Berg GC. Last edited by Grim Lounge Cowboy; 07-10-2015, 03:30 PM. Reason: Clang! Been right into Milhaud the last few months. He seems like such an intriguing character sitting betwixt the French Romantics and the likes of Schifrin, Brubeck, Bacharach, Glass and Peter Schickele. 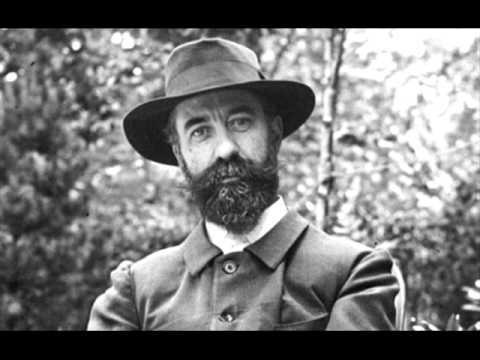 He also composed with Koechlin, who's quite a character himself. Seiji Ozawa is the odd one out of your selection. He's one of the big current World class conductors. He likes contemporary pieces, but he's recorded a lot of the regular gear. He's done the New Year bash in Vienna. You don't get that if you're too far out. Crumb and Parris are contemporary US. I've not heard heaps of either tbh, but from what I remember of both Crumb was the more radical. There is a split Messiaen / Koechlin LP which could kill two birds with one stone. Top works by both, I reckon, Messiaen - Chronochromie / Koechlin - Les Bandar Log. Awesome! Hard to know where to approach Koechlin, so many compositions. This is great. That's the recording on Accord. Got into him via the SWR releases on Hanssler, who are good. I think they have the intention of recording everything he did. The Crumb is a sealed Nonesuch “Ancient Voices”. I’ll defer that. Go with the Parris instead. 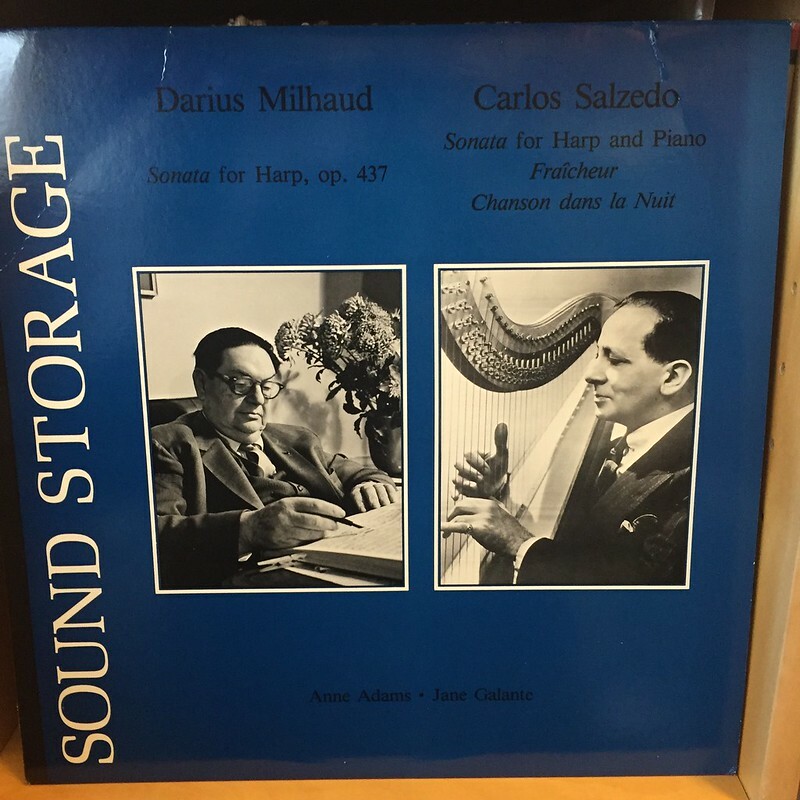 Picked this up yesterday - still sealed - and it's excellent, particularly the Carlos Salzedo pieces - he was an expert harpist so knows how to get amazing music out of the instrument - the Sonata For Harp And Piano is otherworldly. I've never heard of "Sound Storage" before - there is an essay on audiophile nonsense on both sides of the inner (and some more on the back on the sleeve), but TBH the production sounds fairly muddy to me so don't believe the hype about the Blumlein method of encoding the entire 360 degree plane of listening, the absolute phase of the final sound pressure, the presence of reverberation patterns preserving the front-to-back depth etc. etc. etc. etc. etc. etc. etc. Imagine that I said that a piece of music made me visualise a skeleton driving a cart full of corpses against a desolate medieval backdrop. Most people would probably be none the wiser. There will be a few who would immediately volunteer examples. I’ll resist the temptation to crack wise at this point. What, though, if such a picture was what inspired the music in the first place? 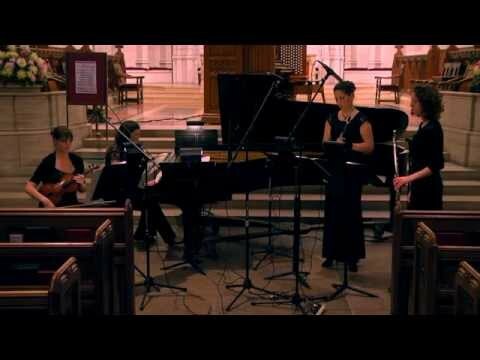 Harrison Birtwistle – “The Triumph of Time”. 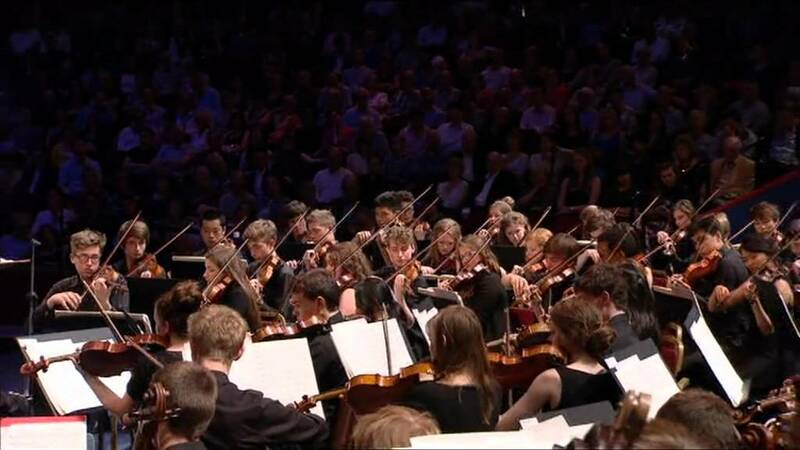 Boulez conducting. Decca, 1973. M-/M-. I would venture to say that the ‘picture premise’ is a bit of a red herring. True, there is an occasional motif that probably represents cart-wheels turning. And the horseshoe sounds probably represent horseshoes. But in the end that line of thought has to be reductive. The fact that Birtwistle considered otherwise doesn’t change my mind. I would be surprised if the pre-1973 Birtwistle knew his signifiers from his signifieds from his loaf of Hovis. I had some notion that Birtwistle is talked of as being a bit daunting. A notion reinforced by comments recently received. But this is far milder than I expected. Perhaps that is something to do with having forced myself to sit through an amount of jazz that is aleatory or raucously expressionistic. Sure, there is no way that this qualifies as easy listening. No obvious melodies. No facile rhythmic elements. But what there is is a manifest attempt to keep the listener engaged. My sense is that there is an ordered stream of ideas here. I say “sense” because after 10(?) listens I am still some way from being able to say that I have ‘cracked’ the piece. Obviously, the tone was never going to be chipper – what with ‘death’ and ‘time’ being amongst the themes. But it is no dirge. My current thinking is that it helps to think of it as being like a soundtrack to a pretty serious film. That preserves something of Birtwistle’s pictorial thinking. No being misled, though, by his rather naive representationalism. I have been stylus-free for a little while. I’ve resorted to Youtube instead. Why not give it a chance by doing the same for 15 minutes? Find the first movement. Sit back and let it wash over you. And do it again tomorrow. And maybe the day after. It is too early to say whether this is a keeper. But coming to that decision is shaping up to be an intriguing exercise. The flip side is good, the reason I hung onto it for so long. 'Chronometer', a tape piece composed using the sound of clock mechanisms, 'realized' by Peter Zinovieff, who was the head of the EMS synth company. Picked this up yesterday, and then saw this. Blimey. Cor Blimey, just goes to show eh... 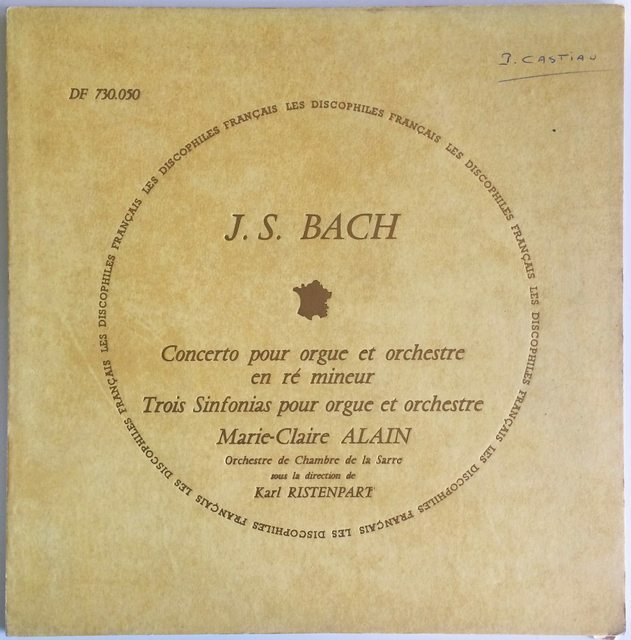 I pick up a lot of Bach, generally his organ works so would have had a punt on that even on the cover alone. Hope its Mint and you make a few quid shame about the biro though.